Nascent healthcare start-up Oscar Health made headlines recently when tech giant Alphabet (NASDAQ:GOOGL) poured $375 million into the company in exchange for a 10% stake. But it in’t getting into the healthcare sector that will support Google stock. For Alphabet, that is pocket change. The tech giant has over $100 billion in cash, cash equivalents, and marketable securities on its balance sheet. But, the potential implications of this deal could be huge, thanks to one thing: data. In short, Oscar Health is trying to revolutionize the presently broken healthcare system by leveraging data to better understand customers, and create optimized and personalized healthcare solutions for those customers. This is not just a noble pursuit, but the right one, too. Data is the future of everything, and it will be particularly important in healthcare where data can turn an inefficient system into an efficient one. This is a huge market (multi-trillion dollars), so if Oscar Health figures out this market using data, then Alphabet’s $375 million investment could yield rewards in excess of several billion dollars one day. Is this a reason to buy Google stock? No. Not really. Any rewards from the Oscar Health investment are way down the road. Plus, return potential, however big, is highly speculative at this point in time. But, if you own Google, this is yet another reason to get excited about the company’s long-term growth narrative surrounding data. Alphabet not only has the best and most robust consumer data-set in the world, but the company also realizes that data is the future everywhere. Thus, Alphabet is optimally positioning itself to win in tomorrow’s data-dominated world. That positioning will ultimately send Google stock higher in the long run. Oscar Health is relatively tiny today. According to the company’s website, Oscar Health operates in just eight states, offers just two products, and has just 250,000 customers (both individuals and businesses). But, when it comes to Oscar Health, it isn’t about what is. Rather, it’s all about what could be. And what Oscar Health could be is something quite big. Consider that the healthcare market globally is a multi-trillion dollar market, and that almost universally, no one thinks it is efficient. Also consider that the best way to make something efficient is by using data and technology. Just look at how Uber optimized transportation by using data and technology. Or look at how Amazon (NASDAQ:AMZN) optimized commerce by using data and technology, or how Netflix (NASDAQ:NFLX) optimized entertainment by using the same tools. Thus, the route to healthcare becoming more efficient inevitably passes through the data and technology bridge. Oscar Health lives on the bridge. More than that, Oscar Health is trying to make that bridge as big as possible. According to CEO Mario Schlosser, the company is going to use most of Alphabet’s $375 million investment to improve the company’s data and technology capabilities. Will Oscar Health will be the company to fix healthcare with technology and data? Tough to say. Everything is so early and speculative at the moment. But, with Alphabet’s funding, Oscar Health does have a significant leg up. Thus, long-term, Oscar Health is attempting to recreate an industry that is worth several trillion dollars today. If Oscar Health is successful, this could be a several hundred billion dollar business one day, and Alphabet will own 10% (or perhaps more) of it. You don’t buy Google stock exclusively because they invested pocket change into Oscar Health. That is a rather silly and highly speculative thesis. But, you do buy Google because the investment underscores that Alphabet is at the frontier of tomorrow’s data-dominated world. We already (mostly) knew this because of the Google search engine. Google search is essentially the backbone of the internet. Everyone uses the internet, and so essentially everyone uses Google search. Because of this, Alphabet has amassed the world’s biggest and most valuable consumer data-set through Google search. This data-set has enabled the company to be at the forefront of tomorrow’s biggest data-centric markets, like AI and autonomous driving. But, data will do more than drive next-gen technology solutions. It will also revolutionize almost every part of society, from commerce to advertising to even healthcare. 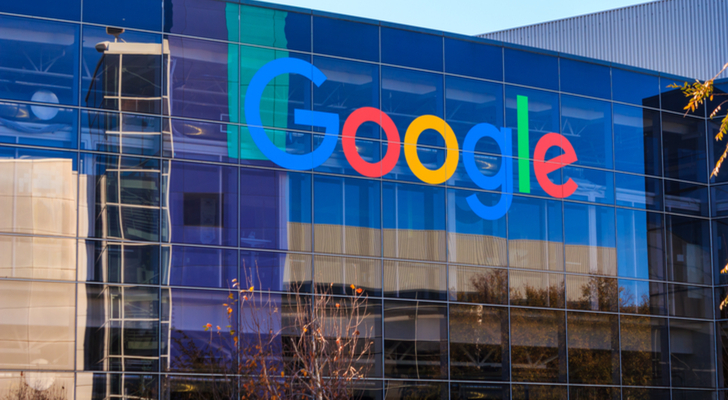 Alphabet is dipping their toes into all these markets with a data-centric slant, and is therefore optimally positioning themselves for big gains as the data revolution goes mainstream and global over the next three to ten years. That is why you buy Google. Not exclusively because Alphabet invested into a data-oriented healthcare startup. Rather, because across multiple industries, Alphabet is at the forefront of the data revolution. This leadership position in tomorrow’s biggest markets is what will ultimately send Google stock higher in the long run. Google is a big time winner in the long run. Here and now, one can argue that the valuation is slightly over-extended given margin headwinds. But, such arguments miss the big picture. In the big picture, data is the future, and Alphabet is the face of data. Thus, Google stock is the face of the future. As of this writing, Luke Lango was long GOOG and AMZN. Article printed from InvestorPlace Media, https://investorplace.com/2018/08/oscar-health-google-stock/.